Don Kunz focuses his practice on corporate transactional matters and client counseling, with a particular emphasis on the representation of publicly traded companies. He has experience with domestic and international acquisitions, divestitures, joint ventures, capital raising, commercial contracts, various regulatory and compliance matters, and other business operation and planning concerns. Don has extensive experience representing public and private companies and their owners, directors, and officers on a range of day-to-day issues, including corporate governance issues and compensation planning for key executives. He also has considerable knowledge regarding the issues faced by real estate investment trusts (REIT), as well as experience working with organizations in a wide range of industries, including insurance, automotive, investment banking, and manufacturing. Don is recognized as one of the top corporate lawyers in the state of Michigan by Chambers USA: America’s Leading Lawyers for Business, where he has been listed for well over a decade. Donald J. Kunz quoted in Law 360 article "10 Firms Will Steer 6 IPOs Raising $724M To Start February"
Donald J. Kunz quoted in Law 360 article "Gridlocked Government May Not Be Bad For Capital Markets"
Donald J. Kunz quoted in Law 360 article "15 Firms To Lead IPOs Exceeding $1.1B Amid Peak Season"
Donald J. Kunz is quoted in the Law360's article "8 Firms To Steer IPOs Exceeding $2.6B As April Heats Up"
2018 – "Donald Kunz acts on transactions, corporate finance and planning matters, and is particularly well equipped to handle matters on behalf of publicly traded corporations. One interviewee praises Kunz's in-depth knowledge of regulations and further states: 'He understands what the law is and can take a position to give good unqualified advice.'" 2017 – "Donald Kunz leads the firm's corporate team and has considerable experience regarding transactional, operational and planning issues. He regularly advises on securities issuances, acquisitions and matters of corporate governance. Sources describe him as 'a fabulous lawyer' who is 'very experienced' in this field." 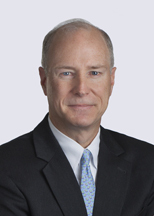 2016 – "Head of the firm's corporate department Donald Kunz has a strong track record representing publicly held companies in complex transactional matters, and related securities and governance work. Clients find he is 'very good at helping us manage the process by directing what needs to be done, and looking at the bigger picture.'" 2015 – "Donald Kunz is described as an 'outstanding lawyer' who 'gives very sound and considered advice.' He recently advised Ramco-Gershenson Properties on two equity offerings of common shares, totaling $196 million." 2014 – “Donald Kunz is widely respected for his abilities in the field of corporate law, representing publicly traded companies in areas such as corporate governance, corporate finance and securities law. He is lauded by sources as 'the kind of lawyer who focuses on what’s important and fights for it in a congenial and effective manner.'" 2013 – "Donald Kunz is held in high esteem. He is known for his public company expertise and has notable experience of handling corporate finance-related matters." 2012 – "'Great lawyer' Donald Kunz specializes in corporate matters relating to publicly traded companies, including securities law."